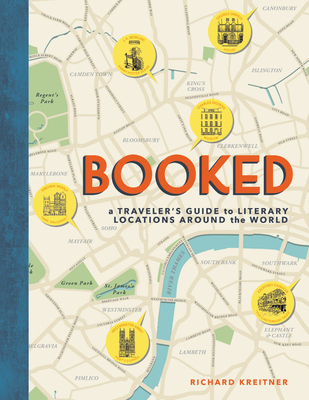 Booked features special sections on cities that inspired countless literary works like a round of locations in Brooklyn from Betty Smith's iconic A Tree Grows in Brooklyn to Jonathan Lethem's Motherless Brooklyn and a look at the New Orleans of Tennessee Williams and Anne Rice. Richard Kreitner is a contributing writer at The Nation magazine. His work on politics, history, and literature has also appeared in Slate, The Baffler, and The Boston Globe. A lover of books and travel, he is the author of "The Obsessively-Detailed Map of American Literature's Most Epic Road Trip," featured in Atlas Obscura in 2015. He lives in Brooklyn, NY.